It’s not every day that you get to view artwork that captured presidential attention, but that’s just what you’ll get when you visit the Naples Art Association’s newest curated exhibition, Following Footsteps: Three Generations of Gruppe Plein Air Painters. 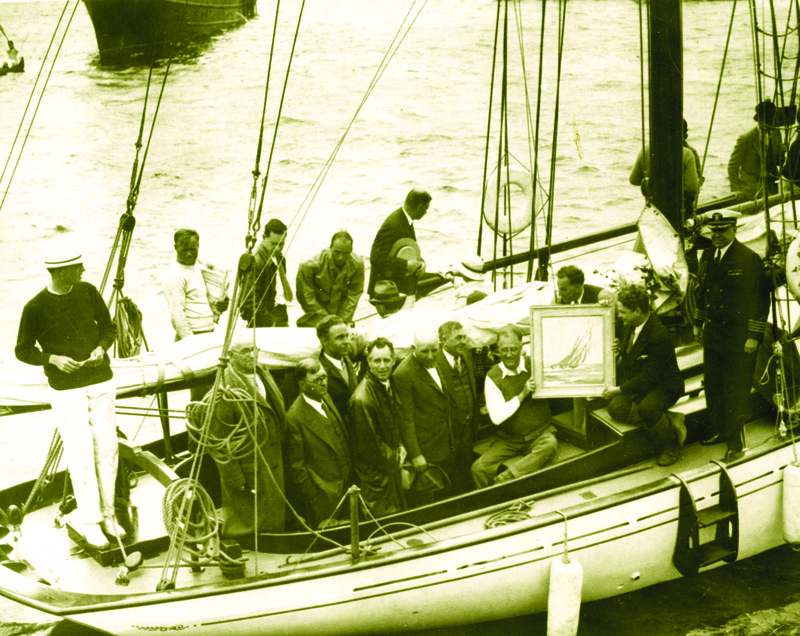 Aboard Franklin Delano Roosevelt’s yacht the crew of the Gloucester fishing schooner, Gertrude L. Thebuad presented the president with Emile Gruppe’s painting of their schooner as a welcome gift. In this photo, taken June 1933, Artist Emile Gruppé is in the front row and is the fourth person to the left of the president. 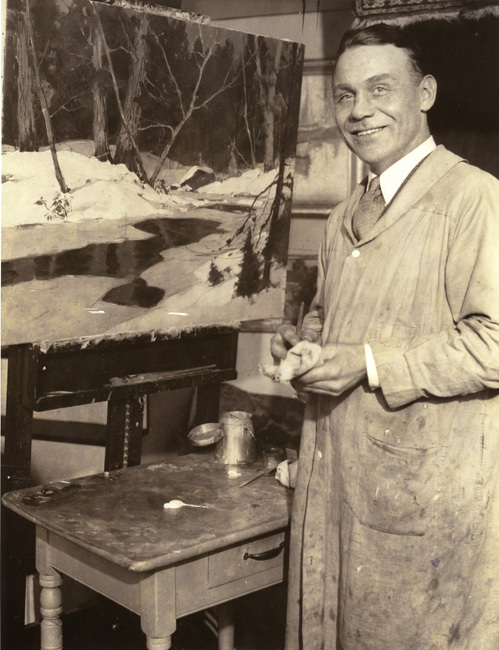 Emile Gruppe in his studio, painting. Works by him, his father, Charles, and his son, Robert, will be on view in Naples at The von Liebig Art Center through April 13, 2013. An exhibition of plein air oil paintings by Charles, Emile and Robert Gruppé. Observe their careful brushwork, and through their skill, appreciate the beauty of Naples and New England landscapes–captured moments in time since the 1930s. This exhibition includes the first public display of more than 20 works! You can preview a sampling of what’s in store at this link. Naples Art Association Adult Student Exhibit – on view through March 16, 2013. Attend a special preview reception where Artist Robert Gruppe will be in attendance, along with many other exhibiting artists, on Friday, Feb. 8, 2013 at 5:30 p.m. at The von Liebig Art Center, 585 Park St., downtown Naples. Members are welcome at no charge, as preview receptions are a benefit of membership. Non members are also welcome for $10 per person. Special thanks go to the Naples Daily News and WAVV 101.1 FM for their sponsorship support. The von Liebig Art Center is open Mon-Sat, 10 a.m. to 4 p.m. and is located at 585 Park St. Naples, Florida. For questions, please call 239-262-6517 or visit NaplesArt.org. The von Liebig Art Center is operated by the Naples Art Association, a 501(c)3, nonprofit organization founded in 1954 by local artists. Its mission is to educate and promote visual arts in Southwest Florida. Through its programs, the Naples Art Association is dedicated to serving individual artists of all ages and skill levels, along their creative journeys. In a new community collaboration, the Naples Art Association teams up with the City of Naples and area schools to provide a meaningful art experience through creation of a landmark public art project. The Sample Foundation developed the Port Royal area and donated the River Park Pool in 1959. It was always the premise of the Sample Foundation that the area be a special place for children and residents of River Park, and a new public art project will creatively honor their intention. The Naples Art Association (NAA) is guiding a collaborative art education initiative among the City of Naples, school-aged students, artists and community stewards by producing a lasting display benefiting children and residents of River Park. Through the “River Park Pool Art for Kidz by Kidz Program” a ceramic tile mosaic mural will be conceived, developed and installed at the facility. Participating schools include Seagate Elementary, Fun Time Academy, Lake Park Elementary, Gulfview Middle, St. Ann’s, and Naples High School. Sponsorship opportunities are available to help offset the cost of the project. Please contact the Naples Art Association for details. The Naples Art Association is a 501(c)(3) nonprofit organization, founded in 1954 by local artists. Its mission is to educate and promote visual arts in Southwest Florida. 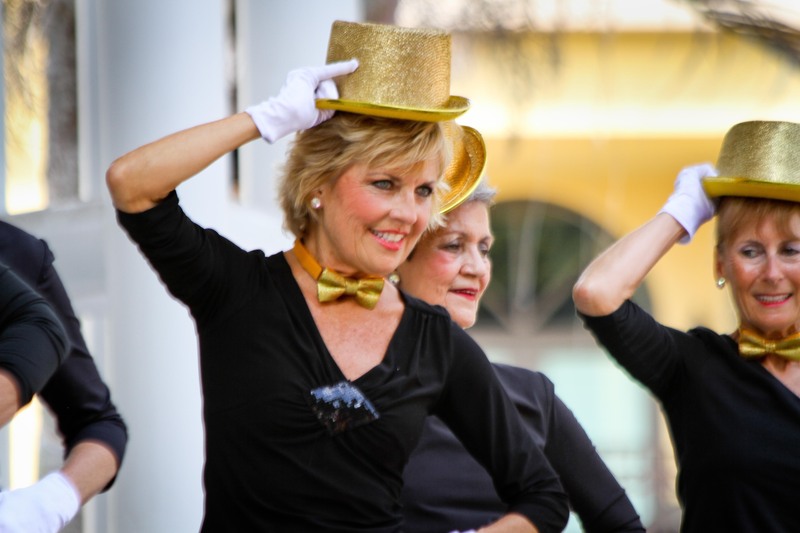 Through its programs, the Naples Art Association is dedicated to serving individual artists of all ages and skill levels, along their creative journeys. 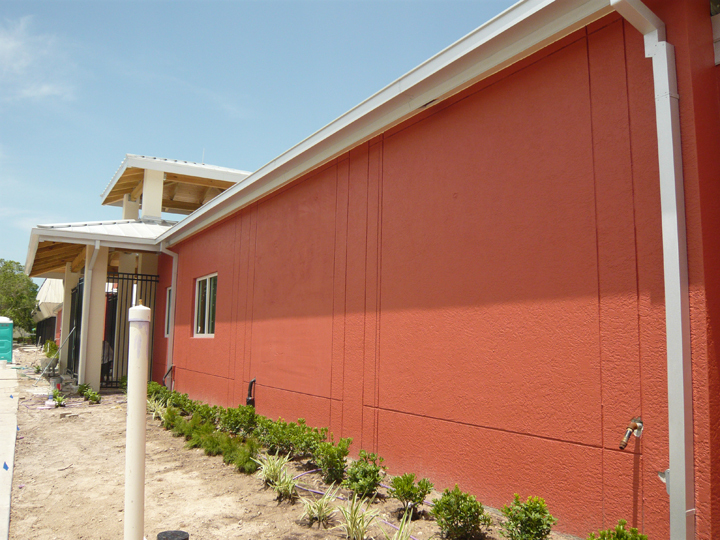 The NAA operates The von Liebig Art Center, located at 585 Park Street in downtown Naples. It’s open Monday through Friday, 10 a.m. to 4 p.m., Saturdays in season. For more information, please call 239-262-6517, visit http://naplesart.org/, like us on Facebook at http://facebook.com/vonliebigartcenter or follow Twitter at http://twitter.com/vonliebigart. The WordPress.com stats helper monkeys prepared a 2012 annual report for our blog. We launched this fall, and are excitedly anticipating each new month of growth. Thanks for tuning in!